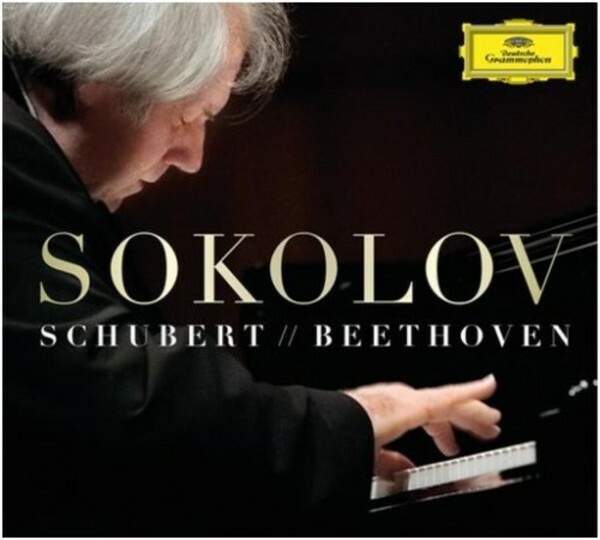 Grigory Sokolov is an exceptional artist. He is regarded as one of the world’s leading pianists and adored by his audience in sold-out concerts – dedicated to his art, and nothing else. His debut album on Deutsche Grammophon, 'Salzburg Recital', was a huge success and is the best-selling frontline core classical release this year to date. With 'Schubert & Beethoven' we have another hit in our hands: Grigory Sokolov plays late masterworks by Schubert, including the much-loved Impromptus, and Beethoven’s mighty 'Hammerklavier' Sonata, finishing with six impeccable encores by Rameau and Brahms. This outstanding recital is culled from concerts in Warsaw and Salzburg, which were celebrated by the media – Salzburger Nachrichten claimed: “Wherever he plays, the utopia of ultimate satisfaction is closer than ever… “. There is an hour of Schubert comprising some of his best-loved piano music (the Impromptus in A flat and G flat major, with rippling arpeggios and timeless melodies), and three of his late piano works that search out the depths of his art. And Beethoven’s longest piano sonata – one of the famous 'late' sonatas – explores the whole range of the extended keyboard then available to him. It lasts over 45 minutes and is one of his most over-the-top works, with its huge fugal finale that has been known to drive listeners crazy. Sokolov has it all under control.